5 December, Reception in London for the Walking with the Wounded Walk of America. 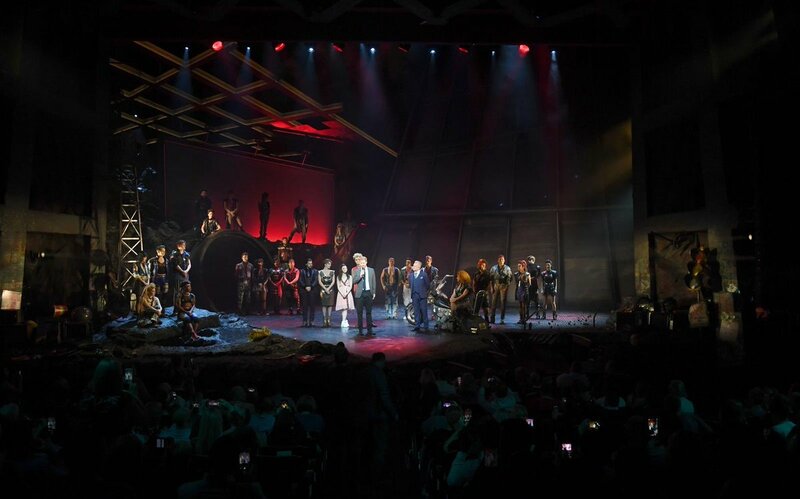 This evening The Duke of Sussex attended a gala performance of @BatTheMusical, raising support and awareness for @WeAreInvictus, of which HRH is Patron. Any bets now that Harry has done his duty, he no longer even cares about being around his wife that much? Like how Kate's pregnancy seemed to free William in a way, just not in the romantic sense. After Kate got pregnant, he seemed to be away more and more and now he's around Jecca as much as possible. ^Probably. Every marriage goes through a let down period but these two moved like lightening with all kinds of excitement so the come down is undoubtedly harder. A big thud no doubt. Something tells me she’s putting on weight, too, and, yes, I believe he’s that shallow. I think she’s hiding out partly because she’s packing it on and she’s definitely that shallow. In short, the thrill is gone. Happens all the time. I think the real issue, is that after all the hype, Harry and Meg expected to be in demand via world leaders all over the world. Meg might have thought that she would get a position in the UN and make speeches and pound on a desk shrieking at men all day and make decisions that affect the course of current history. Harry might have expected to sit in on conferences and discuss economics or trade or some other topic (despite not being able to sound literate and concise). Yet, as with WK, both Harry and Meg are doing fluff stuff and it's not like diplomats are obligated to verify with them if they should be doing one thing or another. Harry's appearances are fluff and I think he might think Meg let him down and he realizes that there was never going to be any kind of 'launch' for him on the serious global forum. ^^ That rings true to me Yooper. The letdown after the big wedding, baby announcement and first overseas tour must be pretty strong. Also, I think Harry thought Meham would be adored by the public as much as he adores her, and as much as his mother was adored. That was never going to happen, mostly because of social media. Also, I think Harry thought Meham would be adored by the public as much as he adores her, and as much as his mother was adored. That was never going to happen, mostly because of social media. And let's not forget that its Meghan's behavior too that the public doesn't adore. I don't think everybody disapproves of Meghan. She can't just be ousted after a few months. She needs to learn. And I don't think some on DM want to even give her a chance, and never did. HEr behavior is not that bad. She seems to be slammed for touching her husband on tours, not wearing the most attractive or well fit outfits, giving speeches and so on. 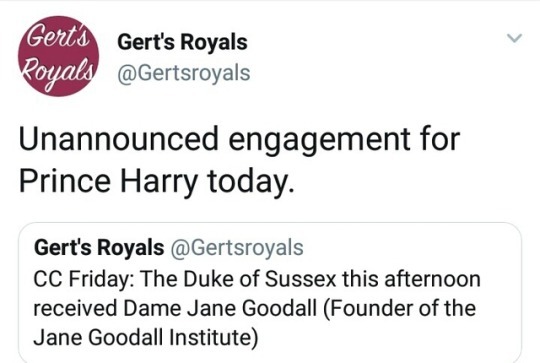 Another unannounced engagement for Harry. I also believe that Harry mistakenly thought that the public's love for him to would continue and he would be able to coast on that for life. He certainly was high on the adoration for creating and promoting and hosting Invictus, but go figure, that crashed once he announced his relationship, started shrieking that the press was persecuting her and starting up with the usual BS narrative of evil aristocrats and evil harassing stalking press (as if Meg herself hadn't been promoting herself all the time), and saying how EVIL the world is to her and him and how the courtiers (everyone's favorite scapegoat) kept dumping on her like she is some eternal victim. The Duke of Sussex, President, The Queen’s Commonwealth Trust, and The Duchess of Sussex this afternoon attended a Board Meeting at Thomas House, 84 Eccleston Square, London SW1. ^^ Very true KF. Harry's popularity increased due to his work with Invictus. Some were even talking about him having the potential to be a better king than William. My my, how that has changed. I, for one, think that his statement to the press to back off of his then girlfriend was the start of his downward slide. I think that was in 2016, right? If so, here we are, two years later, and many are unhappy with the behavior of his wife - myself included. As many here have pointed out, she seems to be using the BRF as a stepping stone to something else (UN humanitarian, US political role, who knows). She doesn't impress me at all with her trendy 'empower women' talk. It is an incredibly vague term that could mean many different things. I also don't see her as being very smart intellectually, because of what she says. All IMHO, of course! The "backing off messages" are part of RF for decades. The Queen issued a "back off Diana" statement when she was pregnant with William. William even hired attorneys. 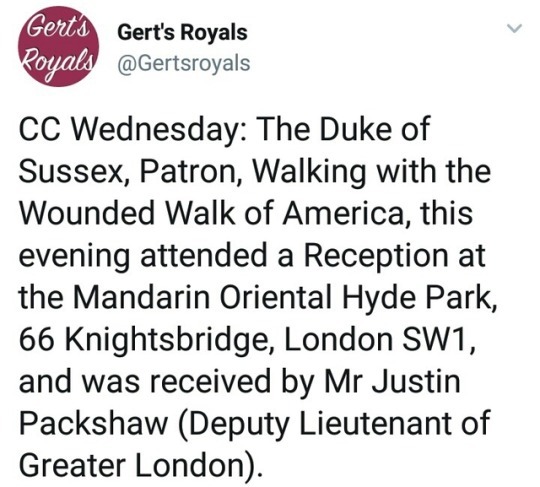 And what Harry's doing is not a "first" for royals. They are hung up on privacy issues and use damage control for criticism. This is par for the course. 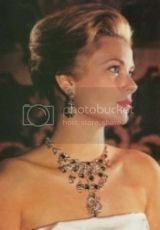 ^ Diana was the Princess of Wales, pregnant with an heir, who was being hounded in a way no other royal has ever been. Diana-mania, circa 1982. Meanwhile, Meggles was a z-list actress whom no one knew or was interested in. She told Harry her house had been broken into [false; it hadn't] and got him all stirred up thinking bad things were happening, so he foolishly stepped in to save her. Now she's running around with a pillow in her Spanx trying to get someone to take her photo. Worlds away from the Diana situation, bless her heart. Thing is, that Diana was hounded in a way that was unprecedented and always will be. I believe Harry overreacted because he thinks that the press is as excited about Meg as he is and made the mistake of thinking that any kind of substantial media coverage is somehow more than it actually is. Second, the press covers the both of them since they are legally recognized representatives of their nation. 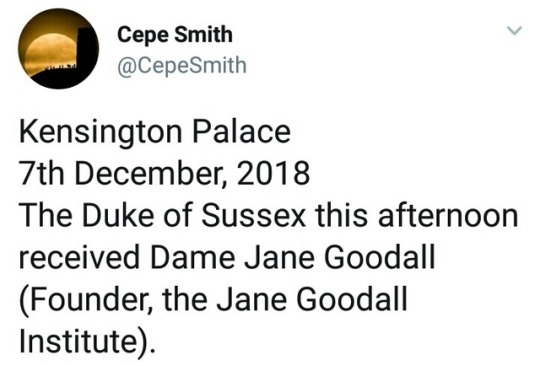 I think a pregnancy is a pregnancy.Carrying Heir or no heir, the royal women should not be stalked or bothered, if that is the case. Meghan is entitled to security officers and has them. Diana was different because she was barely out of her teens, just married and having an uncomfortable pregnancy. She could not even walk to town (with security) to buy something in a store without cameras on her. I don't think it mattered if the baby was heir or not. Kate and Meghan were not 20 year olds when they married in. One was pushing 30 the other was 37. Diana was comparatively sheltered. ^. No, Sandy. The difference is that Diana was married to a royal and pregnant with an heir when the queen had to tell the press to back off. Chicken Legs was not married or pregnant when she lied to Harry that her house had been broken into and she was skeered. And then he foolishly wrote that letter. They were not even engaged. That is the difference. Not to mention what KF and I were discussing -- Megs is not being hounded -- she seeks out attention. The Duke of Sussex joined his father The Prince of Wales for a discussion about Youth Violent crime and the ways in which it can be reduced, convened by @PrincesTrust. Before she started dating Harry, Meg was an actress, who was eager for attention since that is how she got roles and auditions. She did that asinine grilling video and had done sleazy poses for men's magazines and was someone who was doing idiotic speeches for the UN and eager to get press coverage. She was no some shrinking flower and she was not someone who was afraid of the thought of being married to a prince who would bring her a title and world platform.